The annual Run to Raise is back‼️ Who wouldn’t want to stay healthy while being able to have fun with your friends and families at the same time? 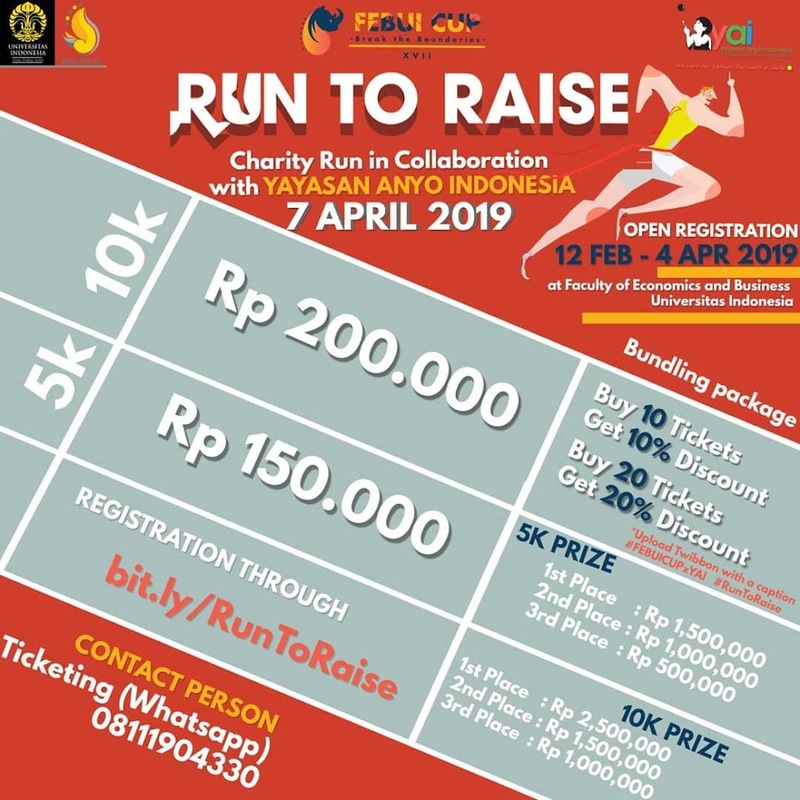 We would love to invite you to join Charity Run which will be held at Faculty of Economics and Business UI. What are you waiting for? Come join us and let’s get those legs running!